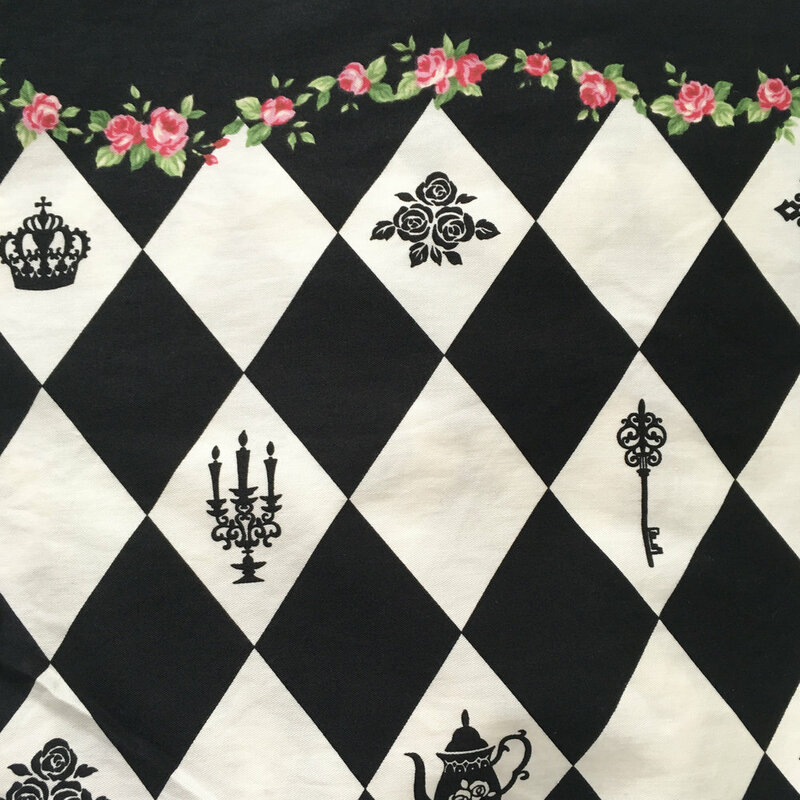 I love Alice in Wonderland themed prints. I usually prefer Alice drawings with delicate lines just like the illustrations on the original book, rather than cartoon looking ones. 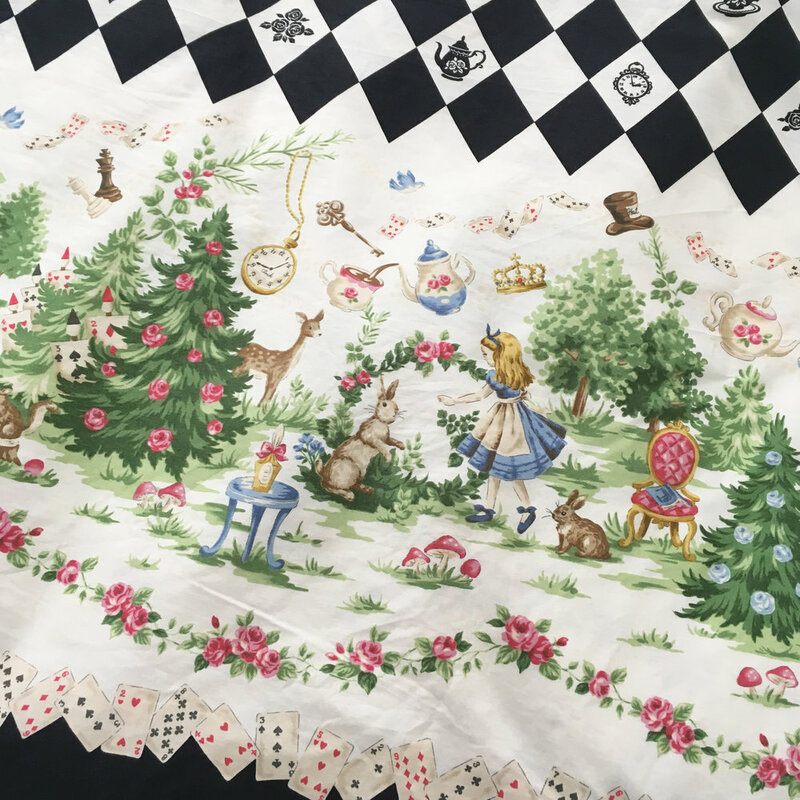 When I saw this beautiful Alice print fabric from "Harajuku Dolls", I had to buy it! 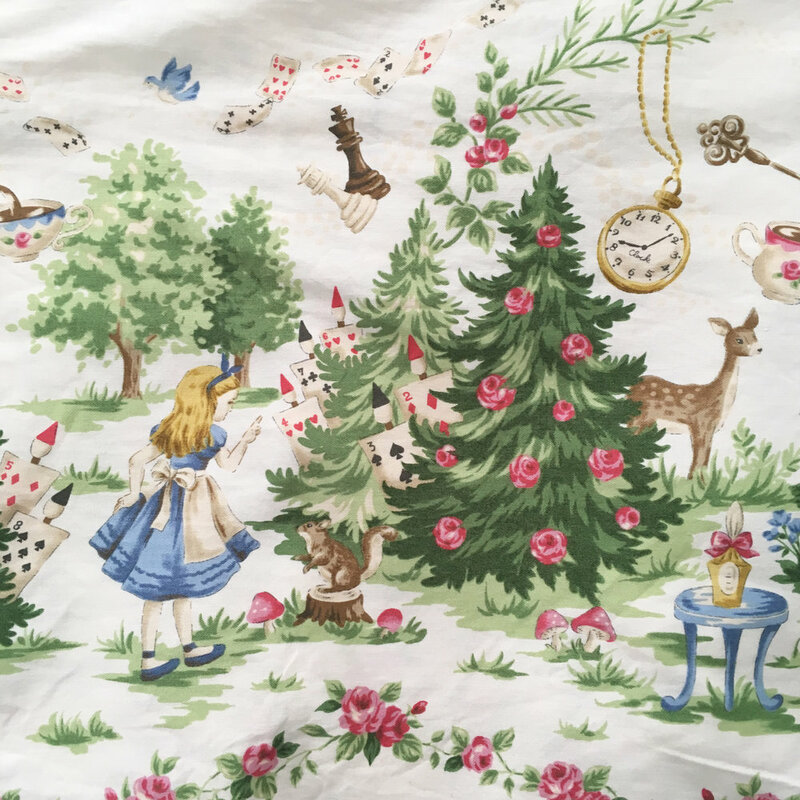 I wasn't sure if this print would be a tad too much as an adult garment, but some Instagram friends encouraged me to make this into a dress or a skirt, so I made up my mind! 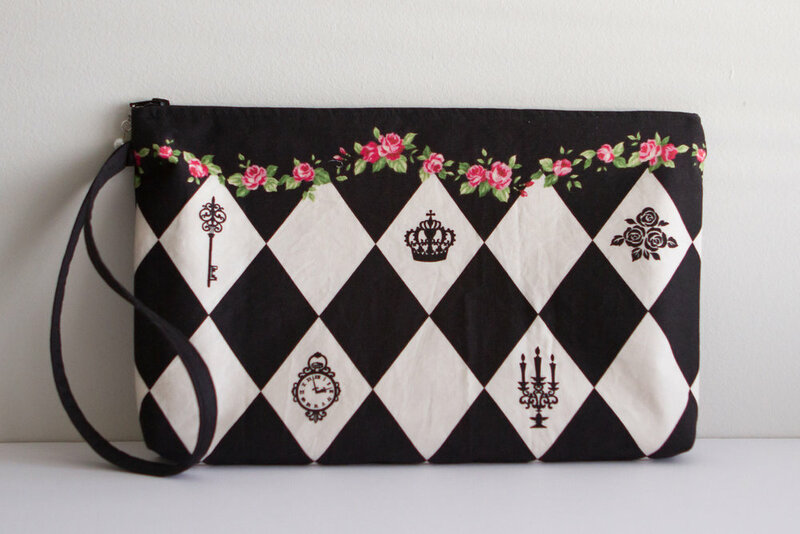 One of the friends suggested making a clutch with checkered pattern part of the fabric and I loved that idea. With a matching clutch, I thought a dress might be too busy, so decided to go for a skirt! It's a really simple gathered skirt of rectangular parts with a back zip. 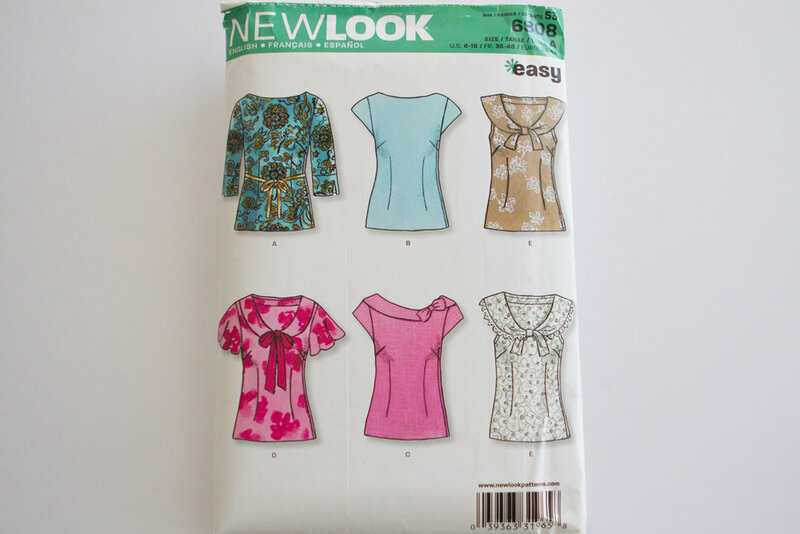 I also made a top to go with the skirt, I used New Look 6808. I chose A for the sleeves (without cuffs) and C for a collar. I really like this collar! In the pattern, it actually has a bow on top but I omitted it and just used a knot to create a "bow-like" shape. This top has a side zip, but if you want to make it easier to put on, I'd move the zipper to the back. 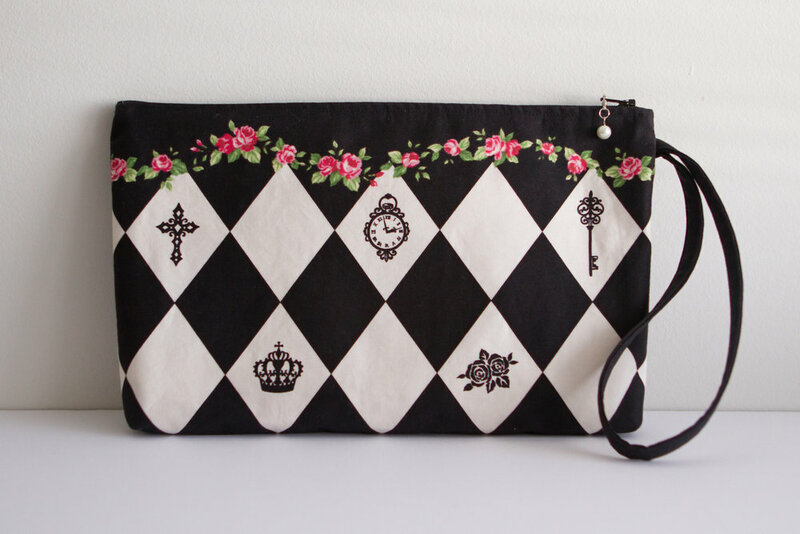 Clutch is just a simple square with 3cm of depth. It's easy to make and handy to use! I made this whole outfit to wear when we go see Alice in Wonderland ballet. We went to see the Dracula last year and was amazing so I'm really looking forward to it!